The capacity of zirconium to be modified according to the set of teeth it will be placed alongside with is very important. Zirconium crown will not only replace a tooth but it can shaped so that it will look better than the one it will be replacing with. This therefore is why you can sport that perfect natural looking smile anytime. 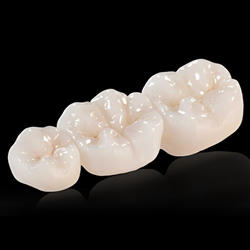 Zirconia manufacturers are now producing and designing dental crowns custom milled from solid block of the material and baked at ultra high temperatures to ensure that the finished crowns are almost indestructible. The fact that this material is biocompatible means that it is safe to stay within your mouth for a long time. There is no need to worry about any adverse reactions from your body because it is not rejected by the human body. Tooth preparation guidelines for zirconia crowns.